Work sheds new light on medicinal benefits of plants ~ Health Matters Today! Scientists from institutions around the nation and the world have collaborated to develop new resources poised to unlock yet another door in the hidden garden of medicinally important compounds found in plants. The resources were developed by the Medicinal Plant Consortium (MPC) led by Joe Chappell, professor of plant biochemistry at the University of Kentucky, Dean DellaPenna, professor of biochemistry at Michigan State University and Sarah O'Connor, professor of chemistry at Massachusetts Institute of Technology and now at the John Innes Centre in Norwich, England. They grew out of a $6 million initiative from the National Institutes of Health (NIH) to study how plants produce the rich diversity of chemical compounds, some of which are medicinally important. "Our major goal in this project has been to capture the genetic blueprints of medicinal plants for the advancement of drug discovery and development," said Chappell, project coordinator for the MPC. "Most people are familiar with the natural products we derive from plants," Chappell added. "These include the delightful fragrances that go into perfumes, soaps, household cleaning products and more. Just as the sensory properties of plants interact with and trigger your sense of smell, plants' natural compounds can target and cause a reaction within your body. This gives them tremendous pharmaceutical potential." The MPC project includes participants from Michigan State, Iowa State University, the University of Mississippi, Purdue University, Texas A&M University, MIT, and the John Innes Centre, in addition to UK. The associated researchers represent a broad spectrum of expertise from plant biology and systematics to analytical chemistry, genetics and molecular biology, and drug development from natural products. DellaPenna, MPC co-project coordinator, said, "Thanks to the funding received for these projects, the talents and skills of experts from all of these institutions have been brought together with the goal of forging a new model in drug discovery." Some well-known medicines have come from plants. 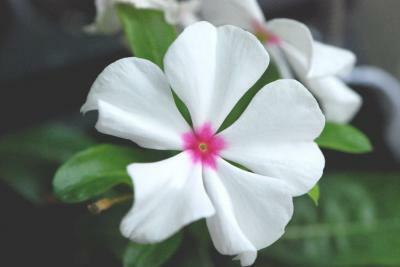 For instance, the foxglove plant gives us the cardiac muscle stimulant digoxin, and the periwinkle plant offers a source for the widely used chemotherapy drugs vincristine and vinblastine. These and many other medicinal plants, often commonly found in household gardens and flower boxes, represent cornucopias of compounds ripe for discovering and developing diverse medicinal applications. "The current understanding of the molecules and genes involved in the formation of plant-derived medicinal compounds is very incomplete. However, the ability to conduct genome-wide studies of model plant species has resulted in an explosive increase in our knowledge of and capacity to understand the biological processes," added O'Connor, also an MPC co-project coordinator. During this two-year project funded through the American Recovery and Reinvestment Act (ARRA), researchers from two consortia set out to develop a collection of data that would aid in understanding how plants make chemicals, a process called biosynthesis. This knowledge ultimately could make it possible to engineer plants to produce larger quantities of medicinally useful compounds as well as different versions with other therapeutic potential. To develop the resources, the researchers studied the genes and chemical composition of 14 plants known for their medicinal properties or compounds with biological activity. These included plants such as foxglove, ginseng, and periwinkle. Altogether, these efforts are now providing a rich toolbox for researchers to discover the means for how nature's chemical diversity is created, thus empowering efforts to uncover new drug candidates and increase the efficacy of existing ones. "This work offers a valuable data resource for understanding the genes, enzymes and complex processes responsible for the biosynthesis of important plant-derived drugs," said Warren Jones, who manages this and other research grants in biotechnology at NIH's National Institute of General Medical Sciences, through which the ARRA funds were provided. "The collaborative effort should greatly contribute to our ability to understand and exploit the rich biochemistry found in plants."